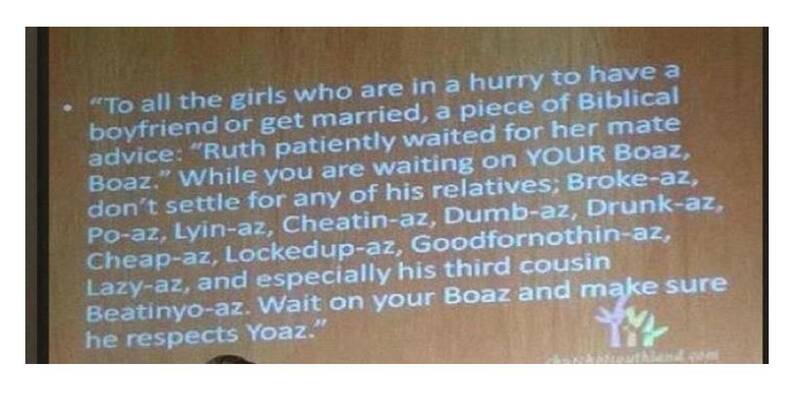 Boaz has his mind set on marrying Ruth. But first, he must convince the true next-of-kin to not marry her. Can he do it? Yes. Yes, he can. Why? Because the dude is a phenomenal negotiator. Boaz finds the next-of-kin and sits down with him in the presence of some of the town elders. He wants to do this right and in public. Then he begins his negotiation. Apparently, Naomi is selling some land that belonged to her late husband. Let the record show that I told you to buy it. I was not trying to keep it to myself. This is a big risk. He is offering everything to the guy up front. Boaz never says he wants to buy the field. He just wants to know if the other guy doesn’t want it. Unfortunately, the next-of-kin seizes on the deal. “I will redeem it,” he says. Now comes step two for Boaz, who has kept some cards close to his chest. Boaz conveniently left that part out. A wise move because to mention her before would have tipped them off that he wanted her. But he has made it clear that he is offering everything to the next-of-kin. Mission accomplished. Well played, Boaz. Well played indeed. What is the Book of Ruth here for? Why is it in the Bible? What is the main point? To reduce it to a simple romantic tale or a “God writes your love story” fable would be doing Ruth a grave injustice. There’s a lot more going on. I’m just not sure what the main thing going on is. The book ends with a description of the lineage of Perez (a friend of ours from way back in Genesis) and the birth of King David. Is that the point? To tell about the circumstances surrounding the birth of David? All throughout the book, we see people being obedient to God’s laws, including kindness to the poor, widows, and foreigners. And wouldn’t you know it, things seem to go pretty well for everyone when that happens. Is that the point? God picks a poor woman who has been through hell to be the key to the Israelite monarchy. Is that the point? I don’t really know. I think they all could work. What do you think? What is the main point of Ruth? The main point of Ruth is (in my opinion) Jesus. We get a picture of what redemption looks like, and who our kinsman redeemer is. We also see what it is to be faithful to your oaths, and to God. We see how a lover woos their beloved, and how a wise voice well listened to brings about God’s salvation (in due time). All of this is fulfilled in Jesus, and through that fulfillment we can see the book of Ruth as a testament to God’s blessing all people’s (Jews and gentiles) through his promise. Then, we can begin to see ourselves in the book, realizing that we are Naomi, we are Ruth, and we are Boaz, all being faithful to God, trusting his promise, chasing our hearts, and finding redemption. Fair enough, but what do you think it meant to the original readers? I think that it has many parallels with the story of Judah and Tamar (Gen 38), and as such the original hearers/readers would have seen more of God’s provision in preserving the line of the king/promised messiah through a kinsman redeemer who is righteous before Yahweh.